The varsity baseball team was defeated 3-2 at home by rival San Marino on Monday, April 30th. 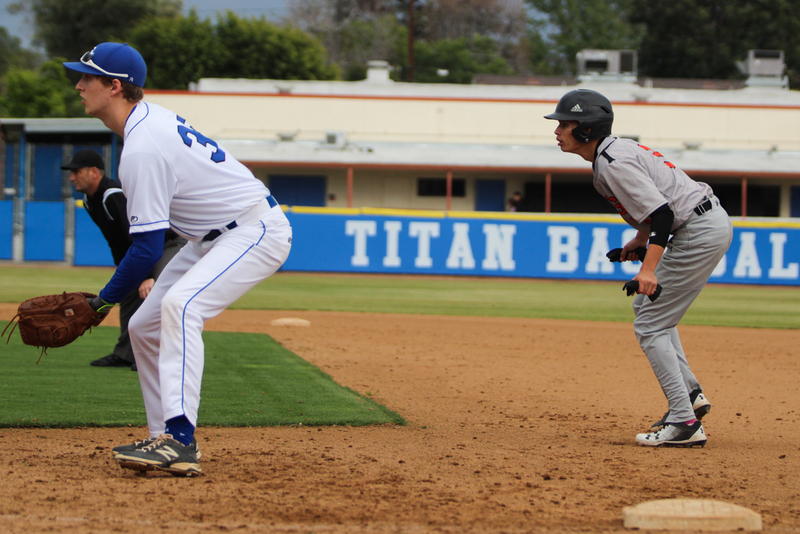 Although the potential of the team’s first league victory loomed large with a persistent tie, the Titans took the lead during their last at-bats. Junior Noah Parker pitched for the entirety of the game. On offense, the Titans crowded the plate, drawing three hit by pitches with their batting tactics. 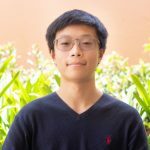 However, increased dexterity in both pitching and fielding curbed San Marino’s powerful batters, with only three runs allowed, compared to six in the season opener at SMHS. Senior Matt Walker was Parker’s battering mate, playing catcher for the first time since last year. In the first inning, the Titans scored their first run after a single, steal, and RBI single. This was later followed by a RBI groundout, bringing the score to 2-0. In both cases, minor misplays on the field led to delayed throws, thus opening up home plate. Both teams were shut out without major plays until the third inning. During the bottom half of the third, senior Isaac Luevano and Parker both hit singles and put the Tigers in a position to score. They were both batted in on a SMHS error, hit off the bat of junior Adam Schroeder, resulting in a 2-2 tie for three more innings. Force-outs and caught fly balls dominated the game until the seventh inning. In an unexpected turn of events in the bottom of the fifth, senior Jackson Totleben’s ground ball was scooped up by the pitcher, who raced to first and prevented a single. A scoring opportunity was given to the Tigers in the sixth inning after two singles, but a strikeout closed the window. In the final inning, a RBI double for San Marino broke the tie. In the bottom half, senior Zach Howorth attempted to steal second for a shot at matching the score once again, but the Tigers’ chance at recovery was ended when he was caught stealing. The Tigers will have another shot at defeating the Titans at an away game on Thursday, May 3rd.